Posted: October 31, 2014 in Picdump, Wanderlust, Where Have I Been? After the Phuket leg of our Thailand trip, we boarded an overnight bus that would take us to Bangkok. It was bittersweet; I would finally be able to explore Bangkok but will be leaving behind the serenity of Phuket. 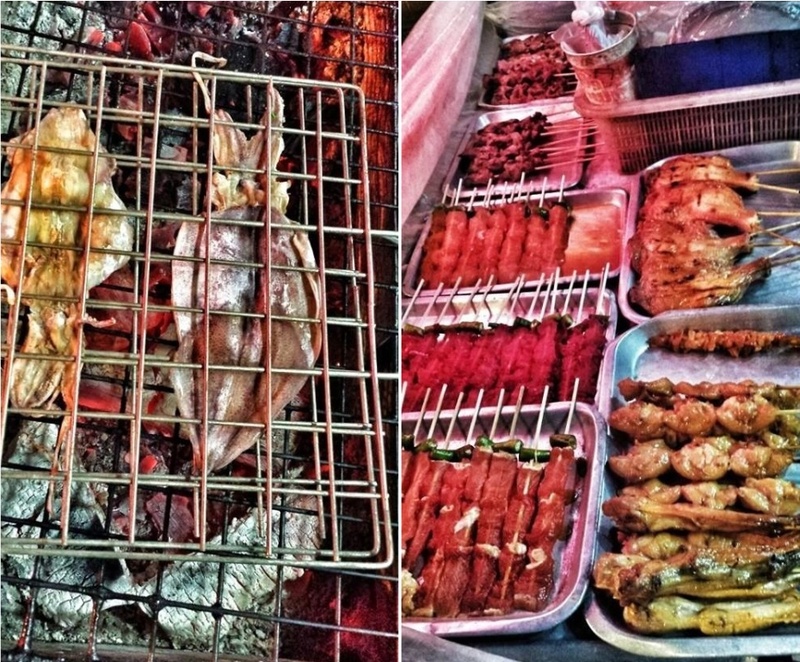 Nevertheless, I was more than excited to partake of what Bangkok has to offer. 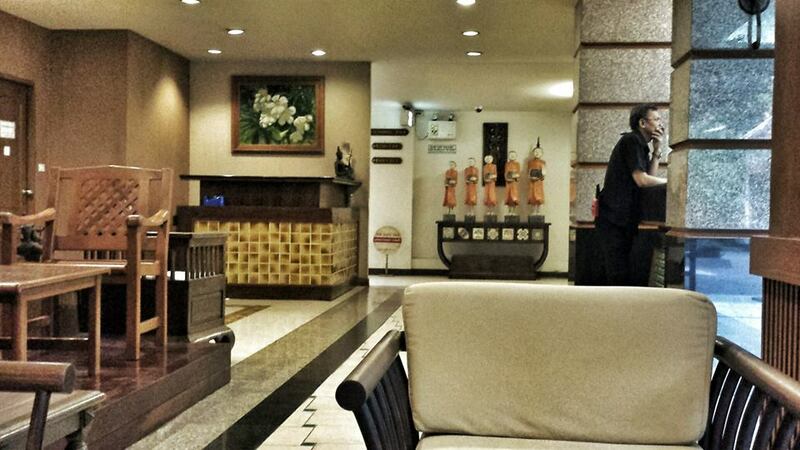 Let me start with our hotel: Rambuttri Village Inn. Rambuttri Village Inn is near Khao San Road where most of the backpackers and budget travelers gravitate towards to, especially at night. 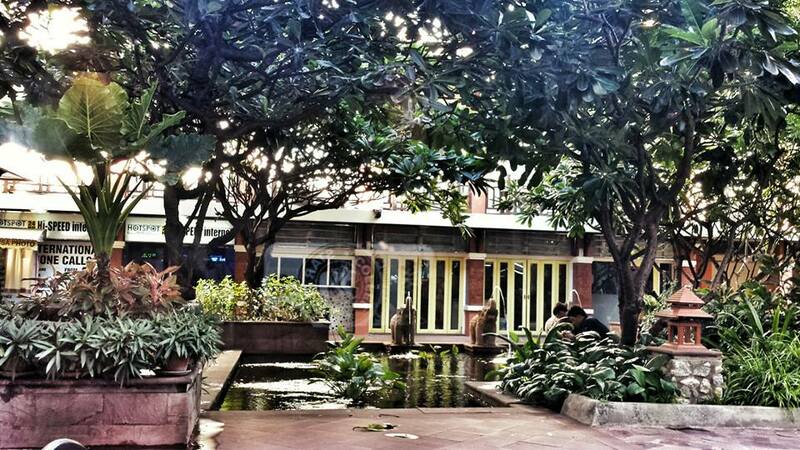 It is strategically located at the more quiet and less crowded Soi Rambuttri. However, it is quite far from any train station but we honestly didn’t mind. We arrived early in the morning and as expected, our room wasn’t available yet. We killed some time at a nearby Burger King where we also had breakfast. When we got back to the hotel, we still had to wait a little while for our room. We didn’t mind because the lobby offered comfortable sitting areas where waiting guests could rest and lounge while they wait for their rooms to be ready. The room that we got was pretty basic – cable television, aircon, comfortable bed, a huge window, and a sizable bathroom. It was just right for us, though significantly smaller than our room in Phuket. Still, we didn’t mind because we expected to be out most of the time anyway. 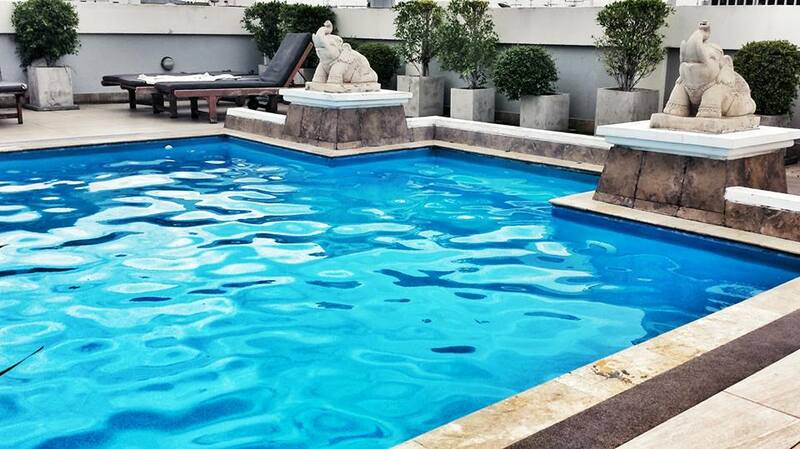 We didn’t have anything scheduled for our first day in Bangkok so we decided to check out the rooftop swimming pool. Their pool was the only thing that stood out from our whole hotel experience. Bangkok is quite hot and humid so having a swimming pool is a really big plus. Not to mention the fact that we had the pool all to ourselves. Guess all the other guests were all out exploring the city. 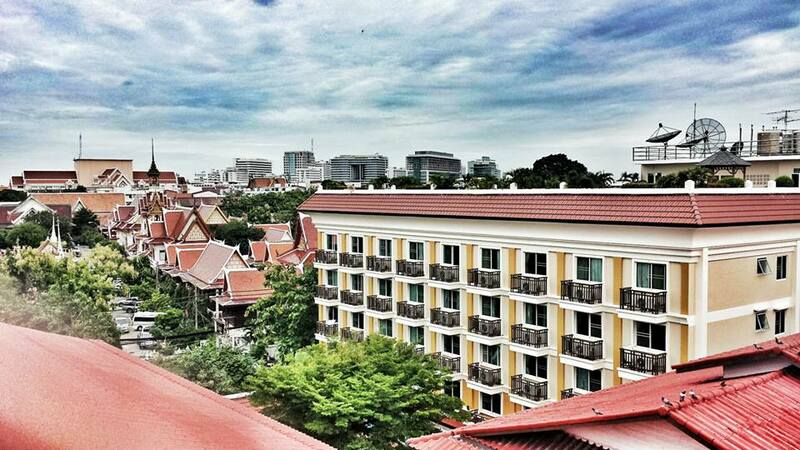 Since the pool is at the rooftop, it gave us quite a good view of the surrounding buildings. Although we didn’t know exactly what we were looking at, it was still nice to be able to see our surroundings from a bird’s-eye view. I did not take any photo of our room because as I said, it was as basic as can be. But another nice thing with our hotel is their outdoor garden where guests could sit down to eat their meals or just relax. Below is the view from the café in front of the hotel. So relaxing, yes? Posted: October 21, 2014 in Picdump, Tummy Fillers, Wanderlust, Where Have I Been? The street across Patong Beach is lined with establishments – bars, stores, hotels and restaurants. There are different types of bars around, from the usual backpacker’s watering hole to the eccentric A Go-Go Bars. As expected, a good number of lady-boys are walking around offering massages or whatever. Hehe. 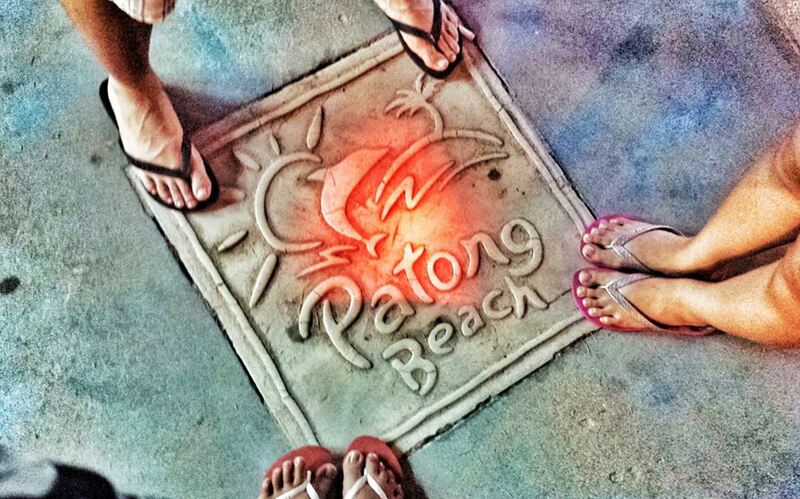 On our second night in Phuket, we decided to walk the strip along Patong Beach. I was actually hoping to get a light buzz from one of the bars but my friends weren’t really up for it. During our long walk, we came across a pink mobile bar. It was our first time to see one so you can just imagine our excitement, haha. It’s painted a very bold pink, decked with blazing lights and blaring out some Thai hip-hop music. It just demands attention. Weirdly enough, no one was around. Not even a single costumer. Since it was decided that we will no longer drink, we resorted to taking part of Patong’s street food. 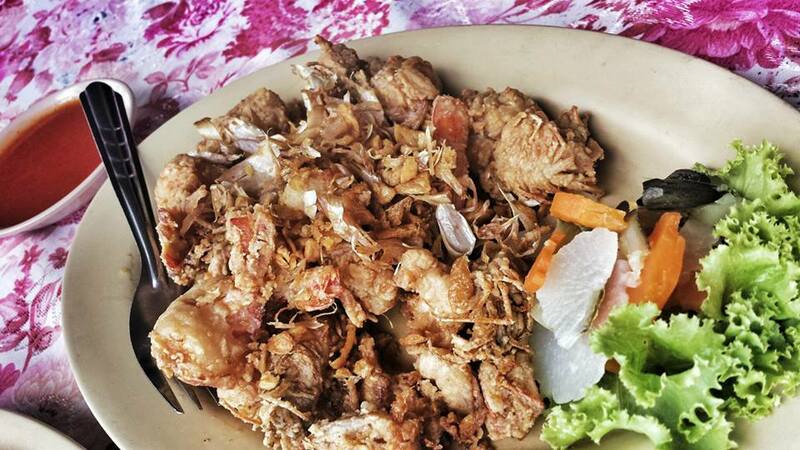 From grilled meat and seafood, fresh fruits and utterly delicious (and cheap!) crepes – basically anything a night owl would crave for. I feel like the huge amount of restaurants overwhelmed our hungry tummies because we actually ended up having our dinner at Subway. LOL. It’s quite comical, actually. 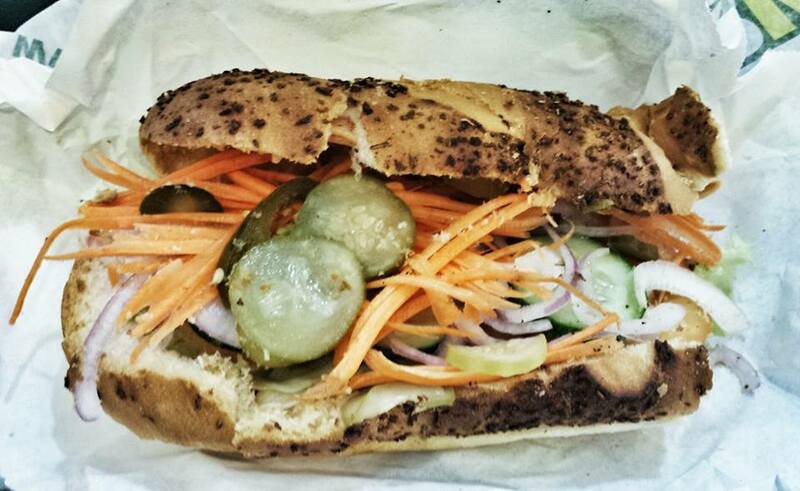 After filling our tummies with sandwich and street food, we walked back to our hotel to retire for the night. 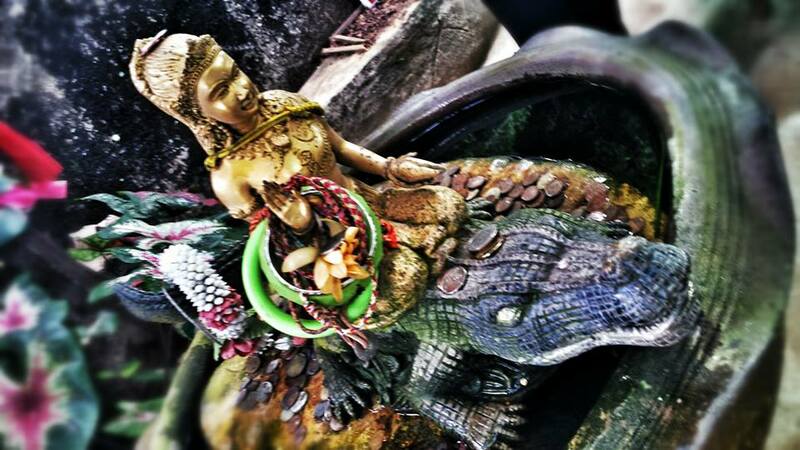 I hope to get back to Phuket someday and take part of the infamous Patong nightlife. For real, this time. Posted: October 17, 2014 in Picdump, Wanderlust, Where Have I Been? 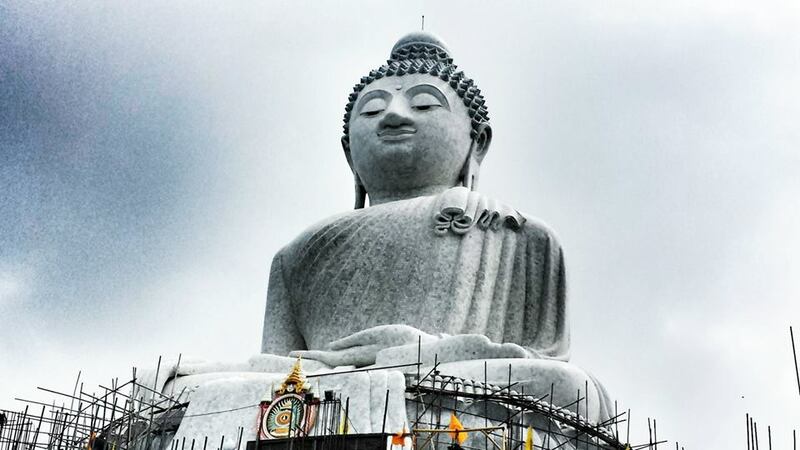 Phuket’s Big Buddha is a must-visit destination. It is one of the island’s most important and revered landmarks. 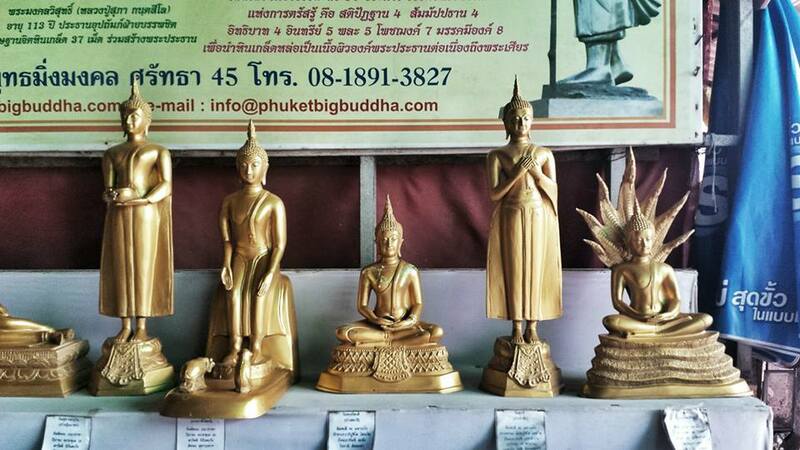 Both tourists and devout Buddhists flock this local landmark everyday. 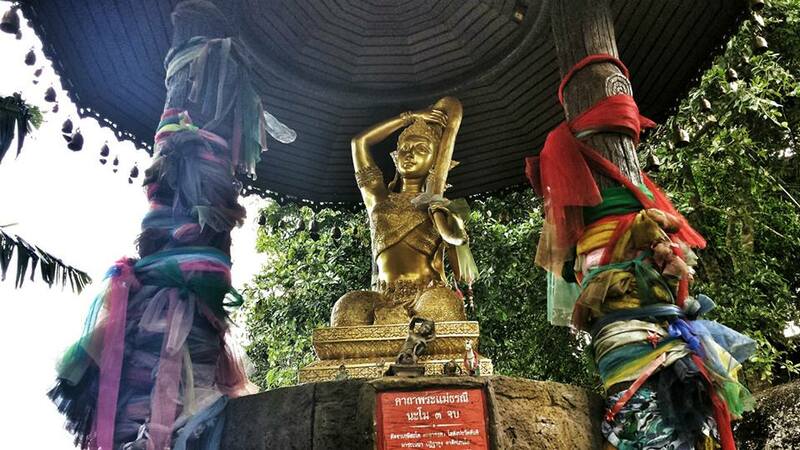 There are two major Buddha images up the hill – the bigger one is 45 meters high and 25 meters across the base. This place also serves as a museum narrating the history of the Big Buddha. 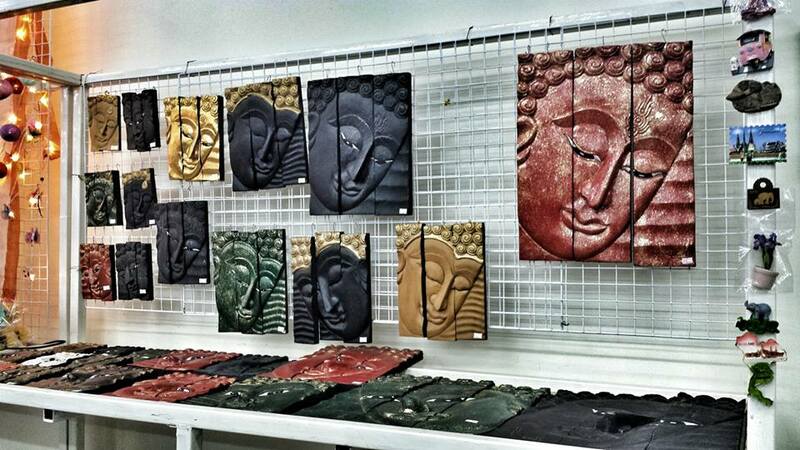 Upon entering, we immediately saw a lot of Buddha images everywhere. 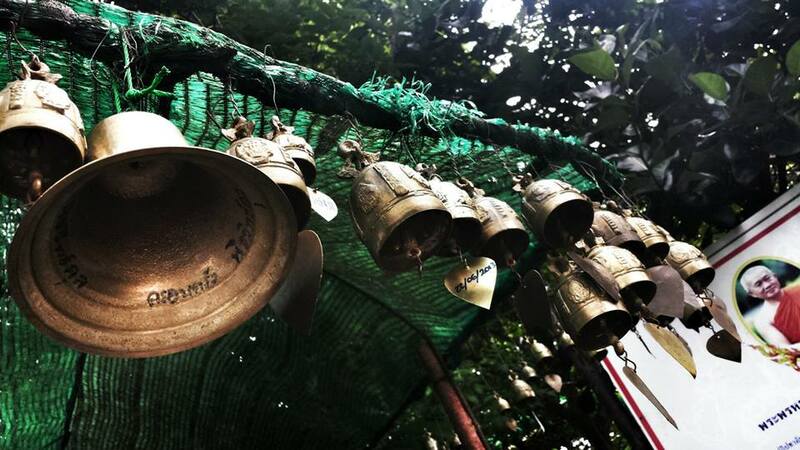 Despite the huge number of visitors around, the complex is rather peaceful and the only noises you could hear are the tinkling of small bells in the wind and a soft background Dharma music. You could actually buy a bell and get your name engraved on it. Also scattered all over the place are numerous donation boxes – most of them are placed near the base of statues. It could be off-putting for some visitors but the construction of the Big Buddha monument relies solely on public donations. 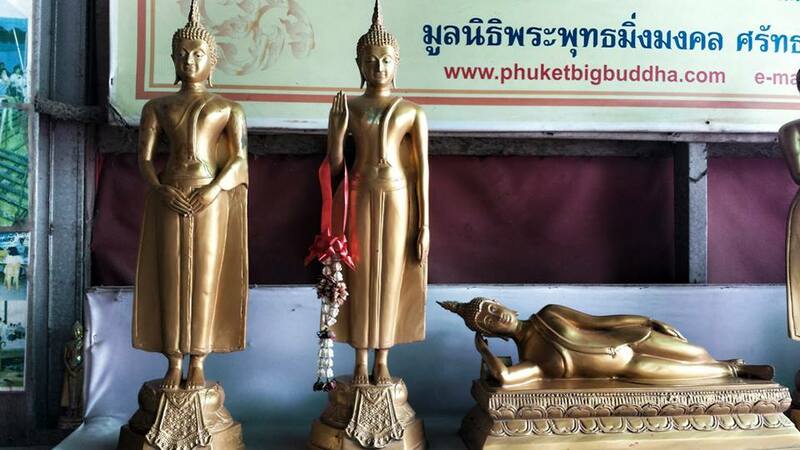 On the right is the second major Buddha image, it is 12 meters high and is made of 22 tons of brass. It looks quite regal but dwarfed by the white marble Buddha. 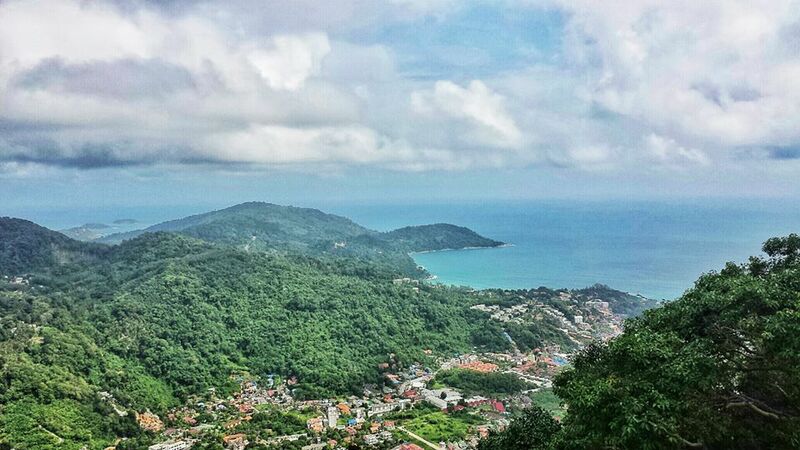 The top of the hill offers a sweeping 360-degree view of the island. I could just imagine how serene it would be at the top during sunset. 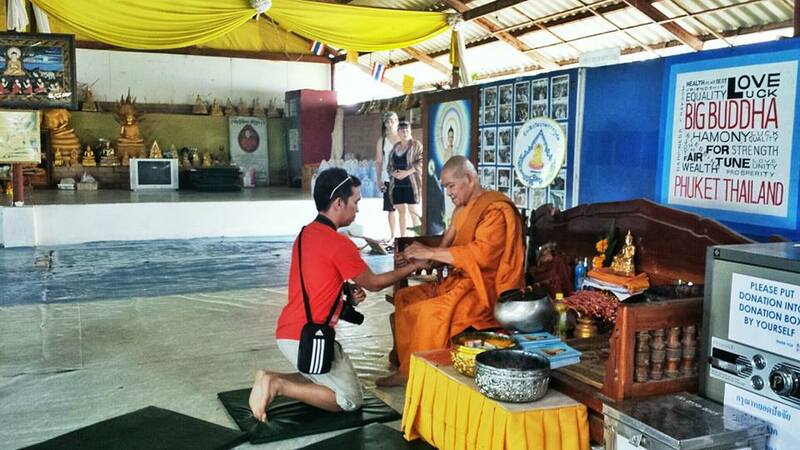 Before leaving, we offered some prayers (though we’re not practicing Buddhism). As per tradition in most temples, we got a string bracelet blessed by monks for luck and fortune. Posted: October 2, 2014 in Picdump, Tummy Fillers, Wanderlust, Where Have I Been? For our last meal in Phuket, our driver brought us to Phongphang Seafood Restaurant. This restaurant gives off a Dampa vibe with all the tanks that contain live seafood scattered all over the place. You can make a selection from the live seafood and have them cooked to your liking. Or if you’re really not in the mood for that, you can order from their ~normal~ menu, which is exactly what we did. 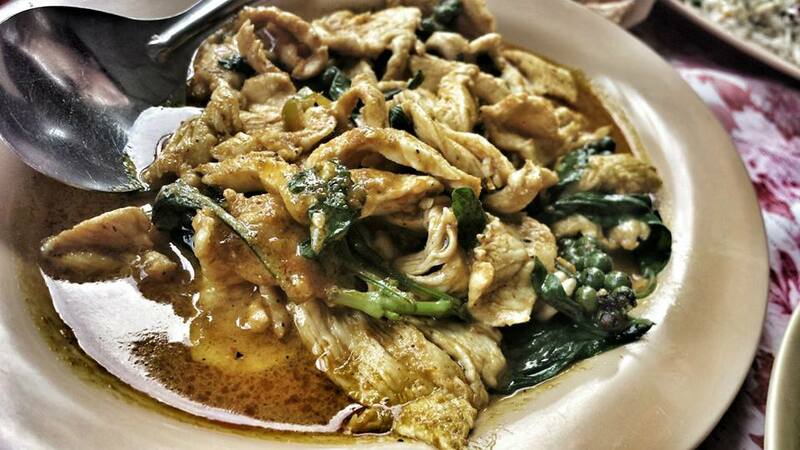 Green Chicken Curry – Super strong curry taste. And you see those grape-like bunch of green thingamajigs? They tasted funny. Curiosity got the better of me and I popped one into my mouth. REGRETS. Crispy Fried Shrimp w/ Garlic – Juicy shrimps with a light and crispy batter topped with crispy garlic bits. YUM! Sauteed Vegetables – The Ilocana in me always wants vegetables. They look and taste like chopsuey. 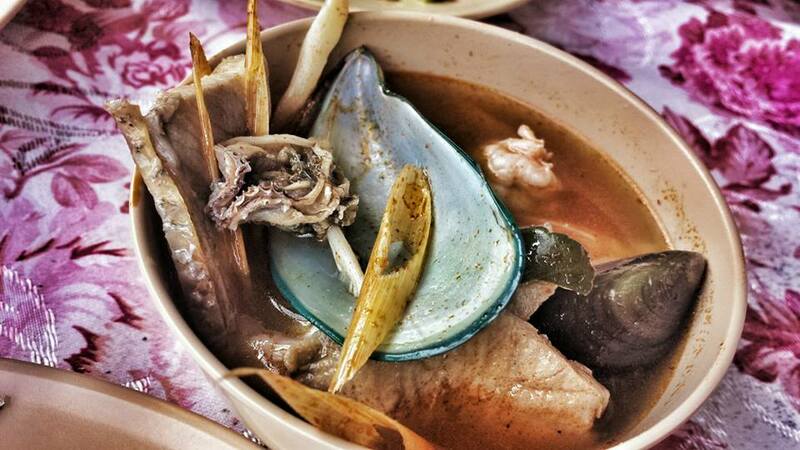 Seafood Tomyum – Deliciously sour and spicy broth with lots of seafood goodness in it. 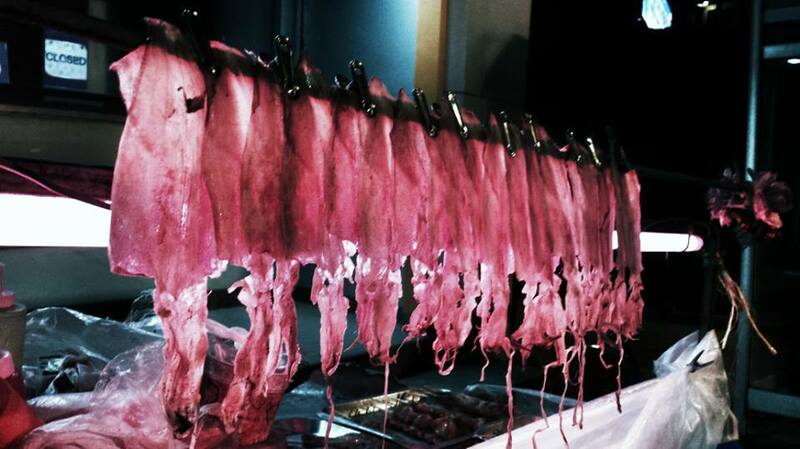 Especially loved the fish meat. Seafood Fried Rice – Of course we gotta have rice. I loved how generous they were with the seafood. Lots of shrimp and squid bits. Watermelon Shake & Fresh Coconut Juice – fresh and not overly sweet. Perfect way to cool down on a very hot day. 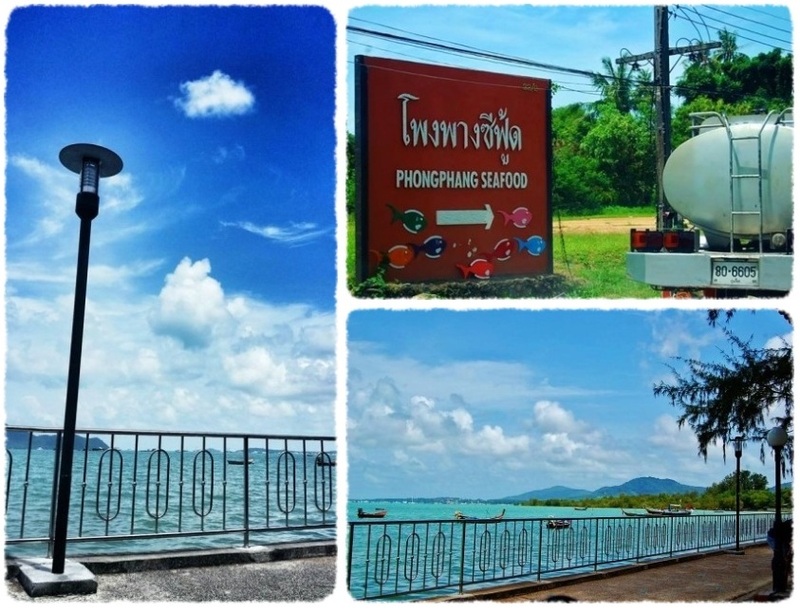 Phongphang Seafood Restaurant is quite a long drive from Patong Beach but it is definitely worth a try. Wish I could go back someday for the live seafood! Posted: October 1, 2014 in Picdump, Wanderlust, Where Have I Been? 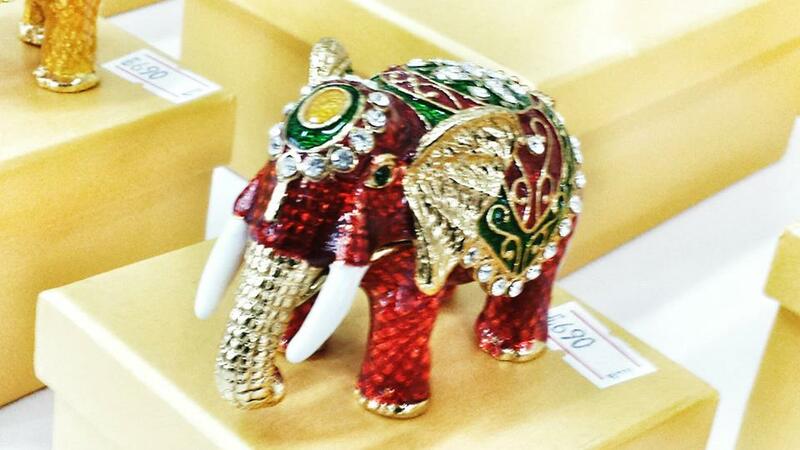 Phuthai Souvenir Markets and Handicrafts is the biggest souvenir store in Phuket. I read somewhere that the tour drivers may receive petrol coupons when they bring tourists to the store. This might just be true because there were a lot of tourists there when we dropped by. 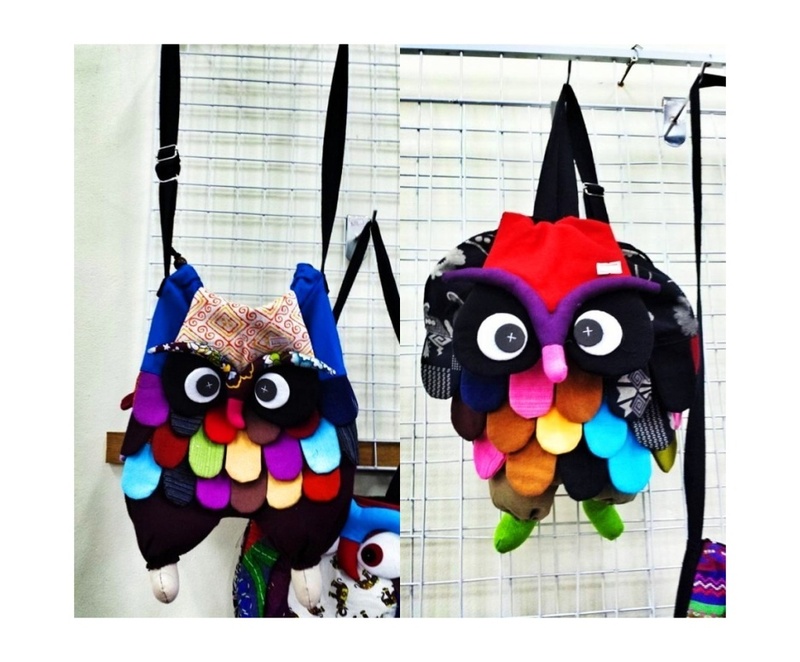 They have lots of novelty items for sale that are good as take home souvenirs or gifts to friends and family back home. Honestly, majority of the items are quite expensive so we mostly just browsed around, looking for cheap deals. I also did not get the toy snakes and the can opener. 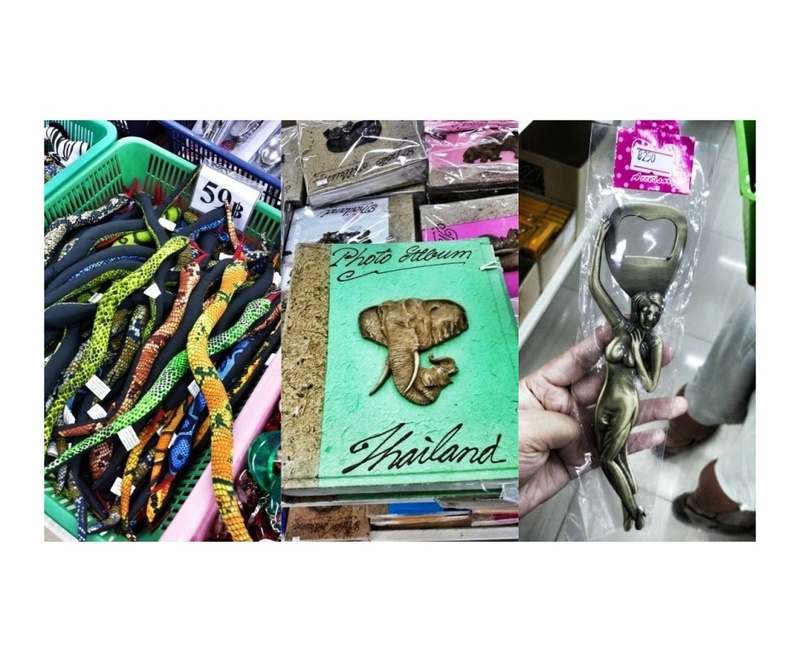 Are these signature Thai items? The photo album in the middle is actually pretty nice but very expensive so I did not buy it. These pens were far more affordable and actually made more sense than most of the random items all around. I walked out of the store with packs of pens that I gave away to office mates and friends when I got back from my vacation. 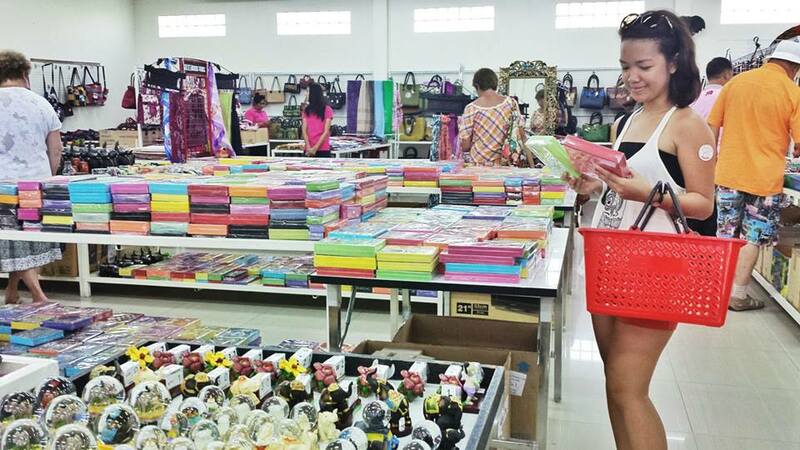 As mentioned, most of the items in the store are expensive so it’s actually better to wait til you get to Bangkok for your pasalubong shopping. That is if you’re heading to Bangkok after which is exactly what we did. 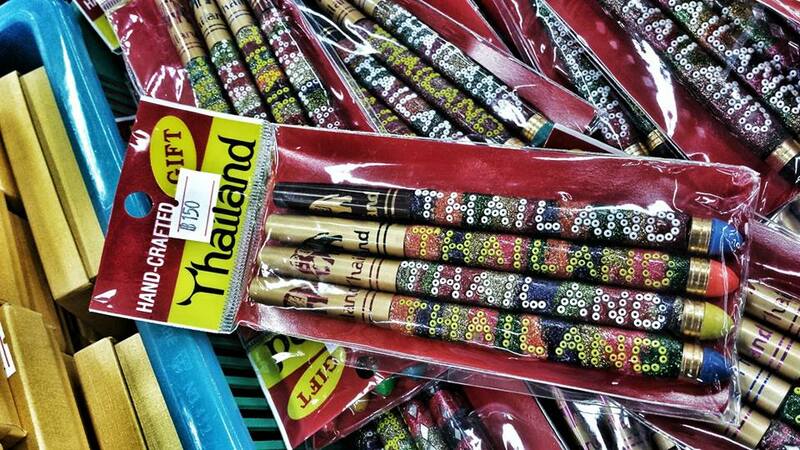 That being said, Phuthai Souvenir Markets is still worth the visit.